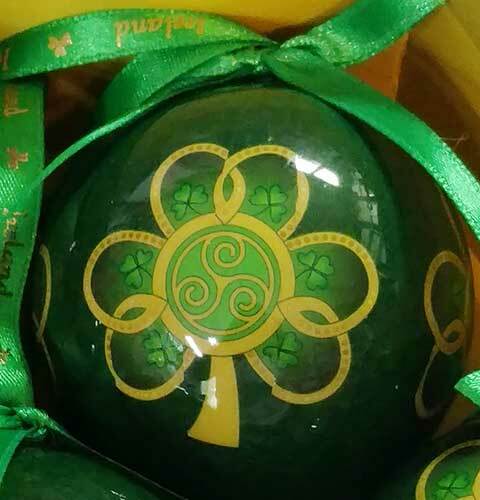 Feast your eyes on hundreds of Irish ornaments for your Christmas tree include every possible Irish symbol, such as the shamrock ornaments, and every Celtic knot, including several Celtic cross ornaments. 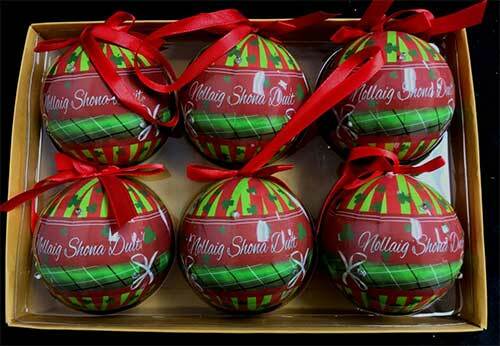 From angels to harp ornaments, The Irish Gift House has every Irish icon for you to hang on your tree. 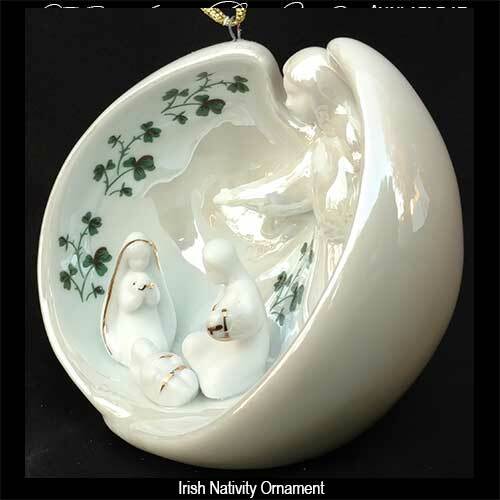 Naturally we feature many Claddagh ornaments along with several popular Celtic ornaments such as the Trinity knot and baubles with Irish blessings. 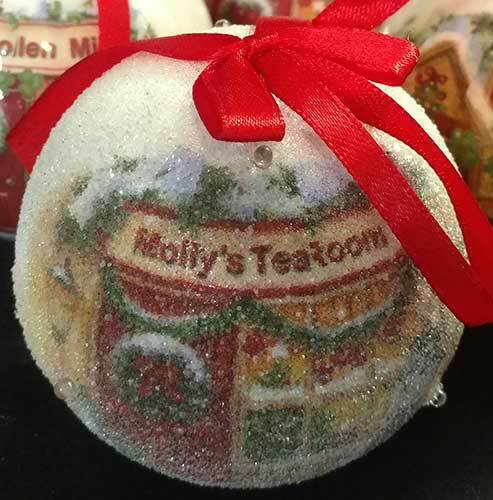 We also have an assortment of fun and festive Irish snowmen and Irish Santa ornaments that we surely bring a smile to everyone in your family. 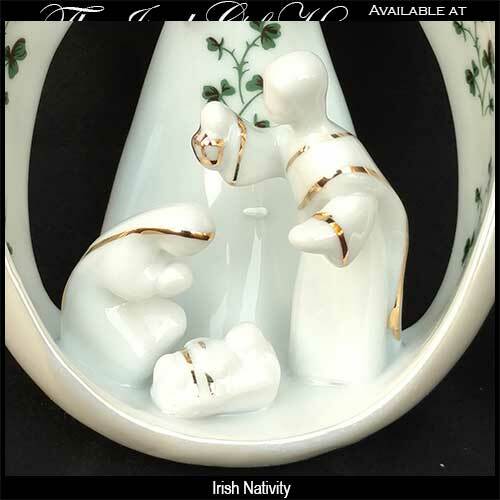 Take a look at our selection of bronze plated Irish Christmas ornaments; they have great detail and many are enhanced with Celtic knots. 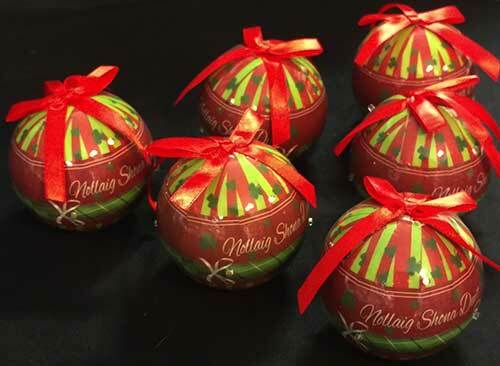 We also have porcelain baubles and feature other materials that include brass, pewter and porcelain. 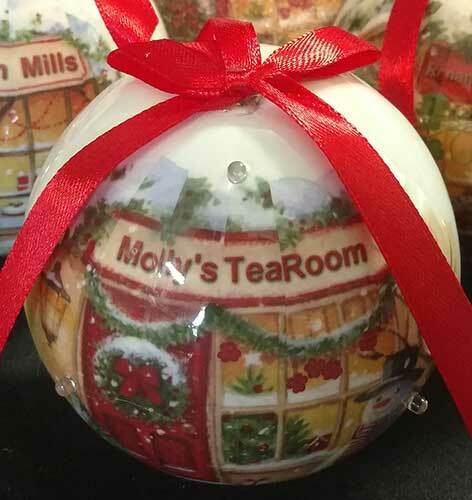 Irish Christmas ornaments are a set of six LED illuminated baubles that feature village shops in Ireland. 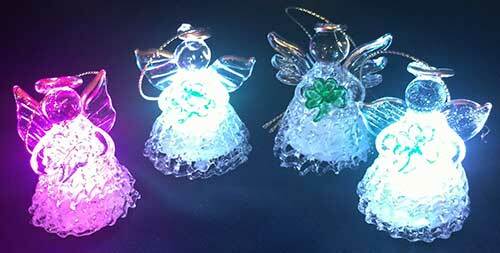 Each ornament has six blinking lights. 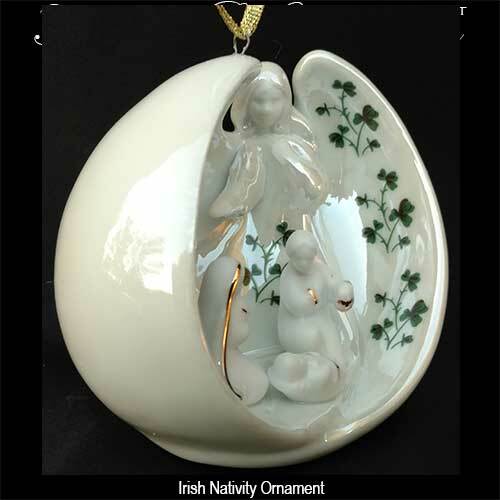 Irish Christmas ornaments are a set of five LED illuminated baubles that feature the Claddagh and shamrock along with the Irish flag, the harp and the Trinity knot. 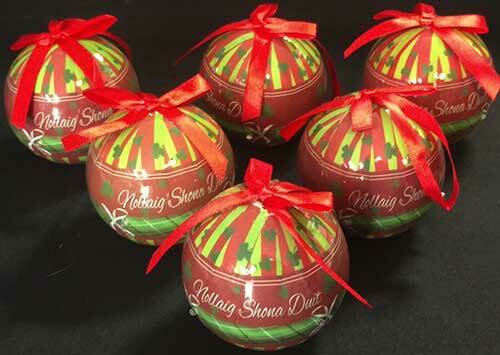 Each ornament has six blinking lights. 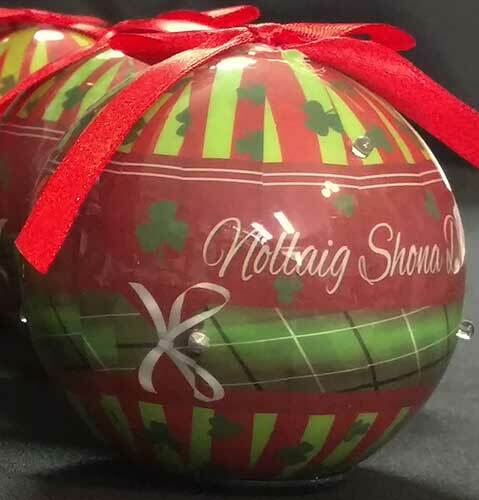 Irish Christmas ornaments are a set of six LED illuminated baubles that feature shamrocks galore along with the Gaelic words Nollaig Shona Duit which translates to Happy Christmas to You. 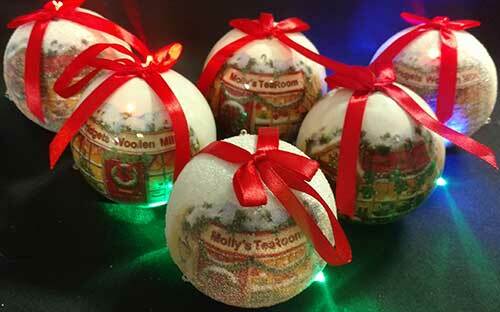 Each ornament has six blinking lights. 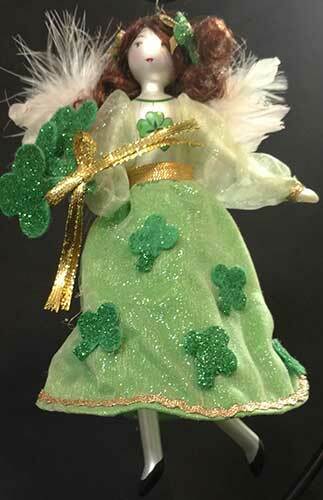 Irish Christmas tree ornament is a tall pixie with an over sized hat and shamrock. 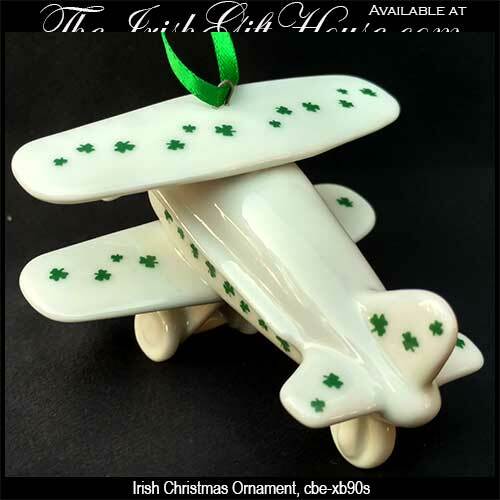 Irish ornament is a blown glass design that features real feather wings along with shamrocks. 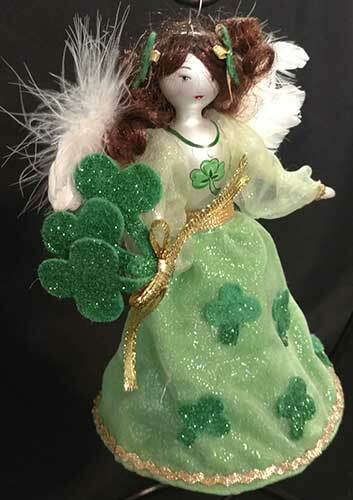 Sorry, this Irish angel ornament is now sold out. 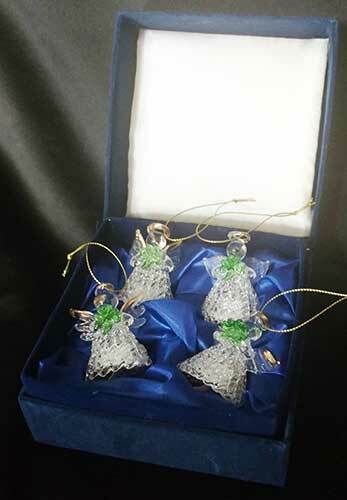 Irish Christmas ornament is a crystal golf bag that is enhanced with a green shamrock. 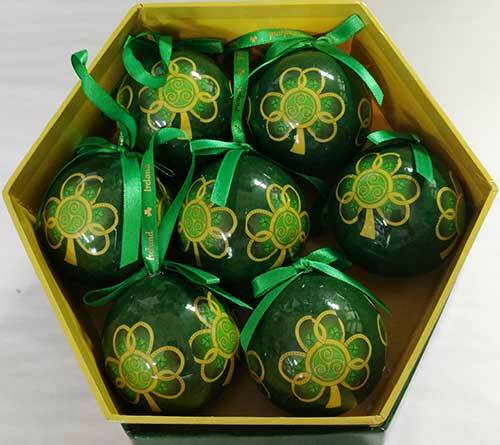 Irish Christmas ornaments features a boxed set of seven shamrock baubles. 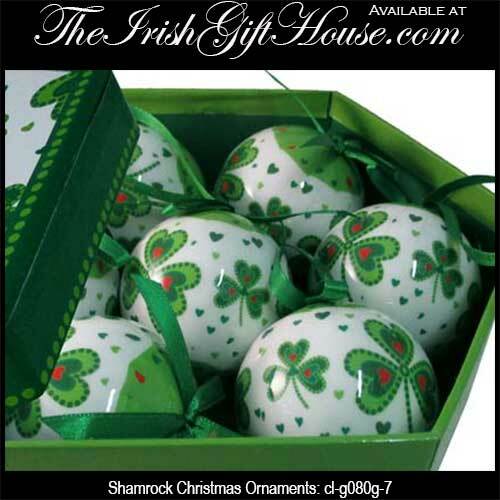 Irish Christmas ornaments features a boxed set of seven shamrock baubles that are enhanced with Celtic spirals. 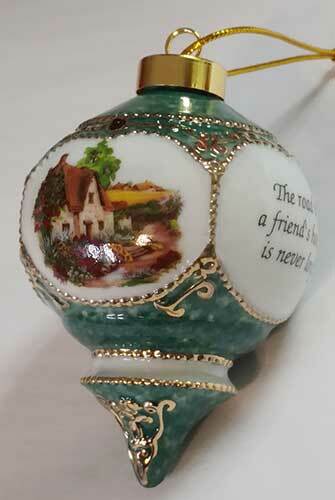 Christmas ornament features a verse from the Irish blessing along with a thatched roof cottage. 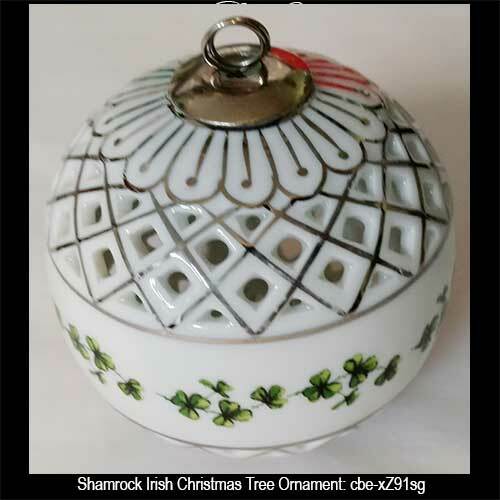 Irish Christmas ornament features shamrocks along with lattice-work porcelain. 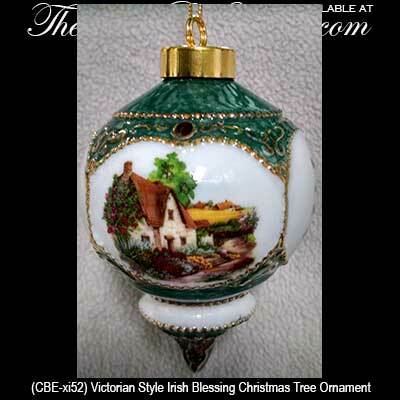 Irish Christmas ornament features a thatched roof cottage along with a blessing. 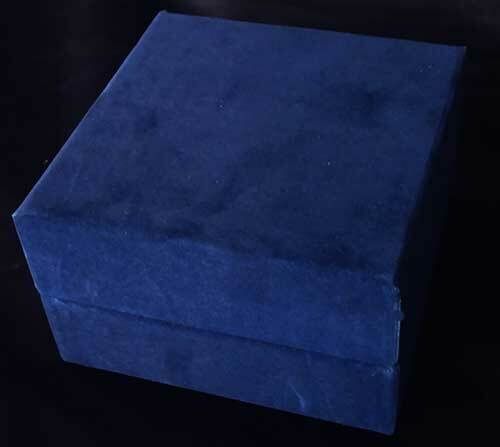 Pewter Celtic cross may be hung on the wall or used as an ornament and it features the Claddagh icon in the center. 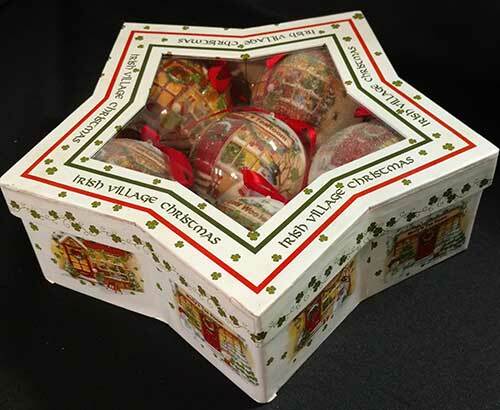 Irish box is also a Christmas ornament with shamrocks. 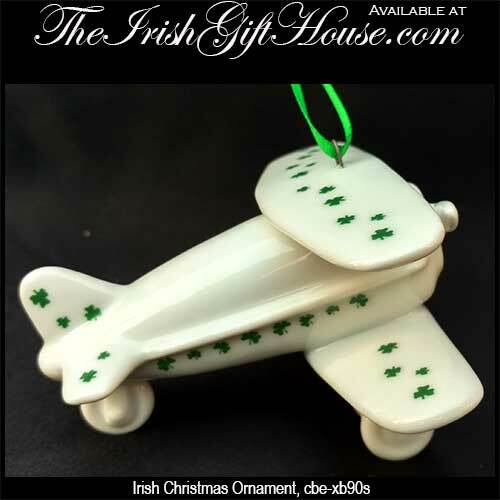 Irish plane Christmas ornament features a porcelain design that is enhanced with shamrocks. 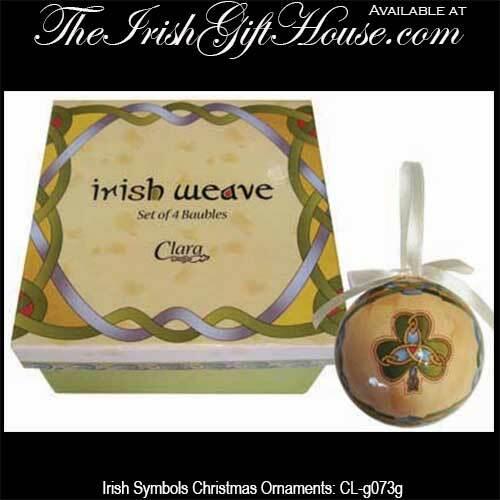 Irish Christmas ornaments features a box set that includes the shamrock and Claddagh along with the harp and Celtic cross.